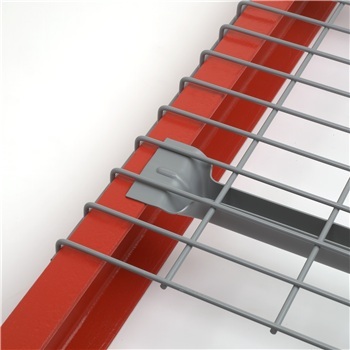 Wire Decking drops over top of beam and is held securely in place by waterfall edging. Available in sizes and capacities to meet any need. 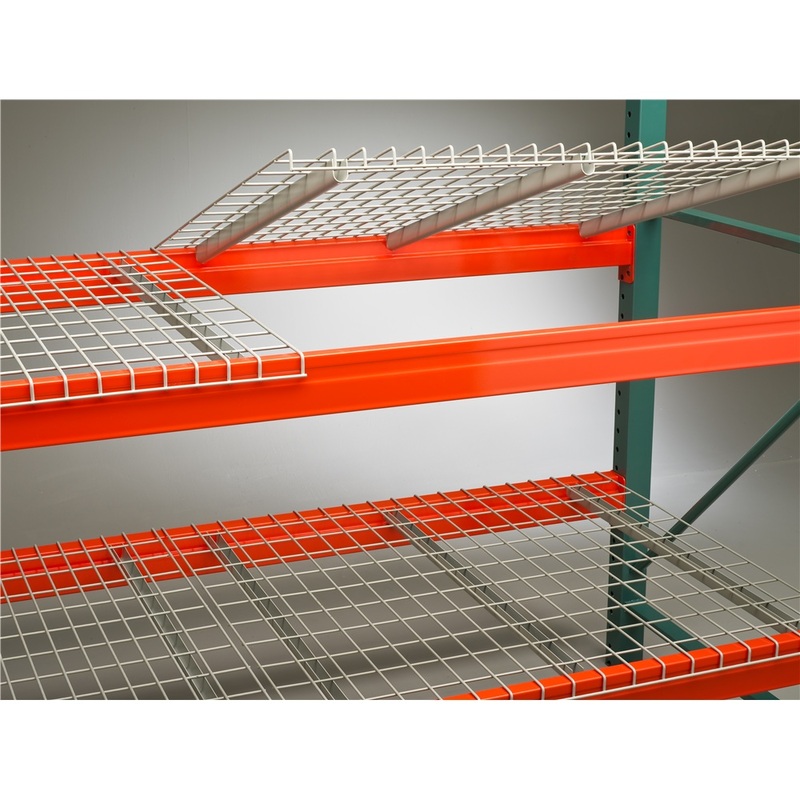 Wire Decking can be used for storage of larger non-palletized items, as well as safety decking for palletized tunnel positions.Wire Decking gives you the flexibility to store cartons, drums, multiple pallet sizes and/or a variety of other products. 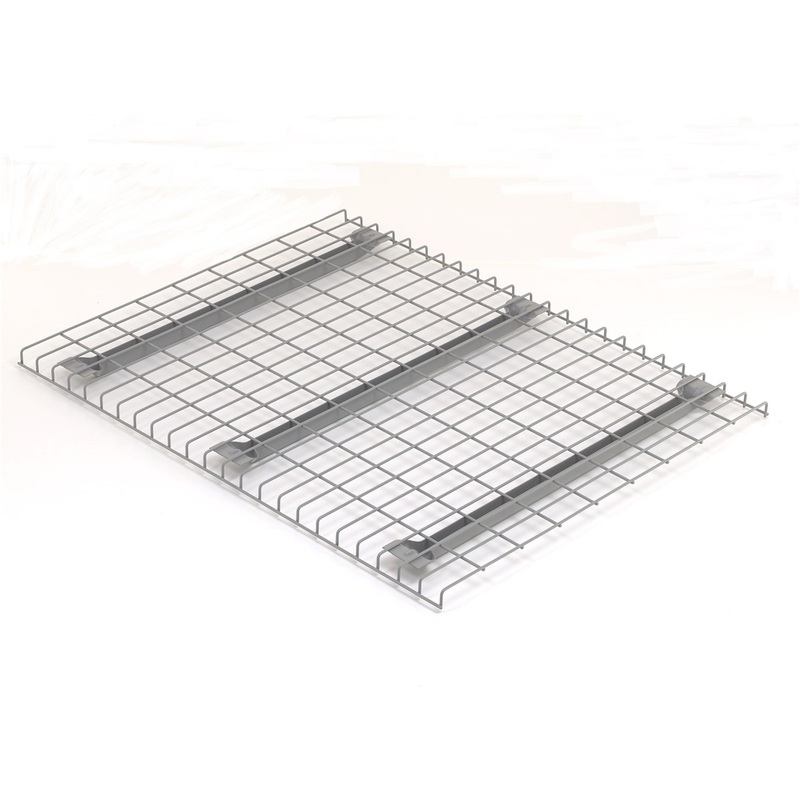 Ideal decking for use where pallet positions require both decking and sprinkler access. Improves fire safety by enhancing the performance of your overhead sprinkler system. Protects employees and products. 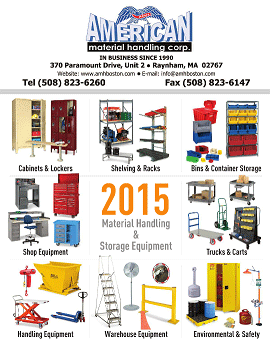 Improves inventory visibility and brightens your facility. Wire Decking is self-cleaning and maintenance free. 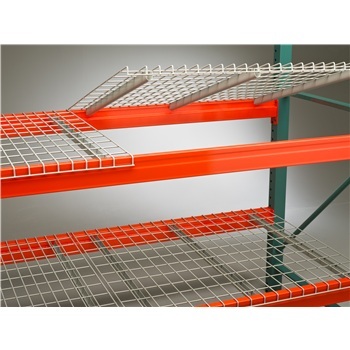 Designed and manufactured in conformance with ANSI standard MH26.2 for loads that are static and uniformly distributed over the entire surface of the rack deck and within the allowable load capacity rating. 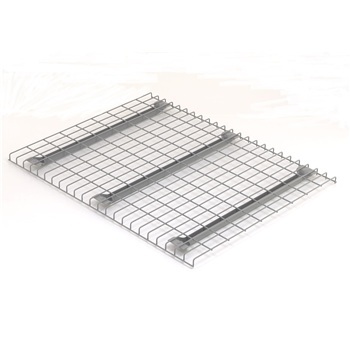 Users shall not permit welded-wire rack decking to be used as a walkway or platform for personnel. Loads should be placed onto decking rather than dropped or pushed. (1) 34" & (1) 46"
7 Ft 8" - 92"
8 Ft 6" - 102"
(1) 46" & (1) 52"
(2) 52" or (3) 34"
(2) 58" or (2) 34" & (1) 46"
(1) 34" & (2) 46"
Construction - Steel welded wire mesh. Channel - Flared; waterfall design with flared support channels to accommodate box and structural type beams. Finish - Baked gray enamel.